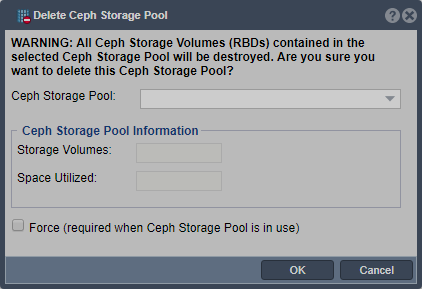 Deletes the specified Ceph Block Device. WARNING all the contents of the block device will be lost and the associated Storage Volume will be automatically removed. This page was last modified on 20 July 2018, at 16:45.